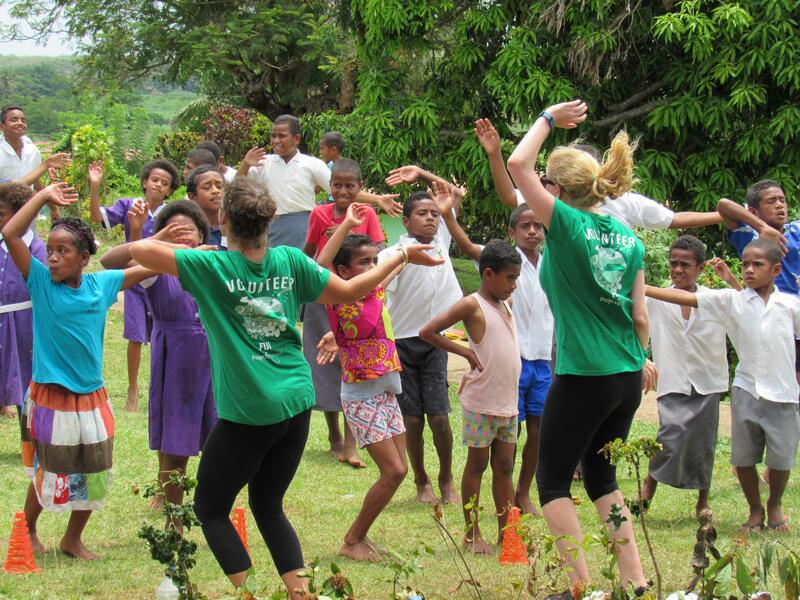 Join our Nutrition internship in Fiji and use your passion for health and wellness to help disadvantaged communities. 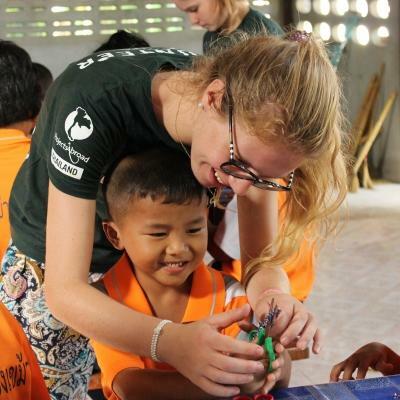 You’ll work in villages alongside professionals and get practical work experience. Obesity rates in Fiji are high, and diseases like diabetes and high blood pressure are on the rise. These diseases account for 80% of deaths in Fiji and are caused by poor lifestyle choices, like eating unhealthy food and not exercising. You’ll have an important role to play in raising awareness around these healthcare problems. You’ll do a lot of practical work in Fiji. You’ll do basic health checks, organise wellness workshops, and run exercise classes. This is part of ongoing efforts, as we work with women's groups and corporate groups over the course of a few weeks. We check in on their progress regularly. 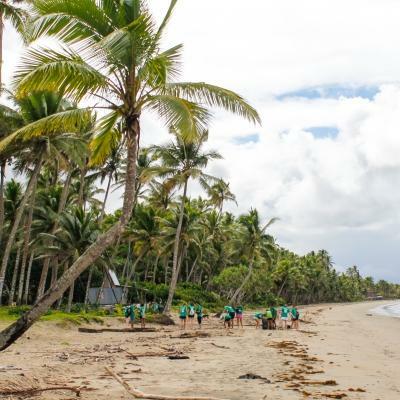 You’ll be based in Nadi, a town on the largest island in Fiji, and live with a local host family. 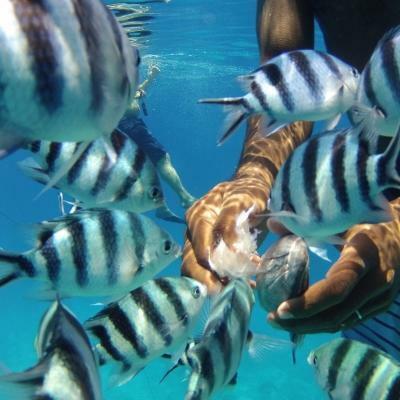 We encourage you to seize the opportunity to learn more about Fijian culture and explore the beautiful island state! Is a Nutrition internship in Fiji right for me? 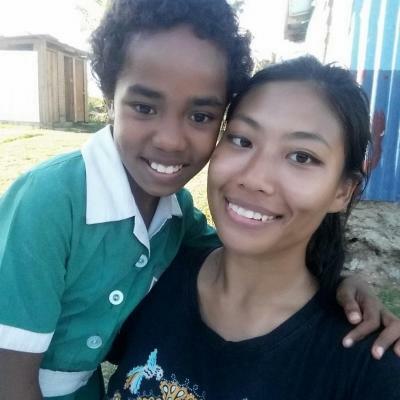 If you’re passionate about healthy living and would like to help to encourage others, our Nutrition internship in Fiji is for you. This is also the perfect programme for nutrition students looking for practical, hands-on work. This project is open to anyone who wants to get work experience in the field of nutrition. You don’t need any prior experience. You’ll also learn skills like working with others, problem-solving, and planning. These are skills you can add to your CV and apply to any career you pursue. 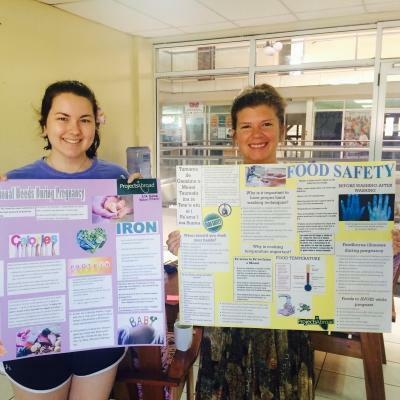 Our Nutrition internship in Fiji runs throughout the year and you can join at any time. You can participate for a minimum of two weeks and stay as long as you like. 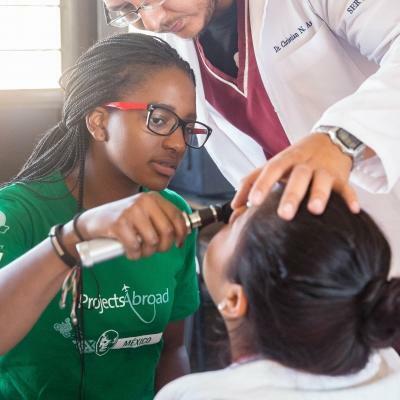 At your Nutrition placement in Fiji, you’ll have the opportunity to gain practical experience and learn from professionals. At the same time, you’ll help people understand the importance of healthy living. Fiji has a high prevalence of lifestyle-related diseases like diabetes and heart disease among adults. 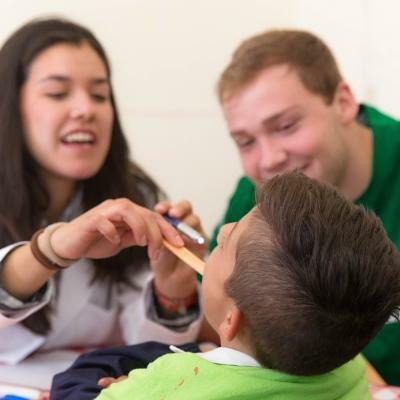 You can help us raise awareness of nutrition and healthy living by running educational workshops. There are a wide range of topics you can focus on, like the dangers of tobacco and alcohol. We would also like you to talk about general food safety to help minimise food-borne diarrhoeal diseases. You will work closely with low-income communities over a period of three months. During this period, you will help these communities move towards achieving a healthier lifestyle. This will include taking vital signs such as blood pressure, blood sugar, heart rate, and weight on a regular basis. We then monitor and assess the progress being made. This data is uploaded into our Global Impact Database in order to centralise the information. This way, we can make sure we provide follow-up care and monitor changes. It also lets us prepare personalised health and diet plans for each beneficiary so we can help long-term. Another practical way to help is to run cooking demonstrations showcasing healthy meals. You can use a touch of creativity to come up with healthy and affordable meal options for families. You’ll use produce from community food gardens to encourage people to eat more fruit and vegetables. Healthy eating goes hand-in-hand with getting active. You’ll help run fun fitness classes to get adults and children moving. We run regular Zumba classes for the women’s and corporate groups we work with, but also for schools. You can also do more if you want. We encourage you to be proactive and offer to take groups on short hikes, do basic stretches with kids, or present a yoga class if you’re a trained instructor. Childhood and adolescence are critical times for forming healthy habits that support long-term overall development. Through our efforts in Fiji, we hope to bring about these changes. You’ll visit schools to engage students in fun physical activities and teach them to identify and consume healthier foods. Students will also participate in the creation of vegetable gardens to reinforce the concept of eating what they grow. Your Nutrition placement in Fiji is based in Nadi, a city on the west coast of Fiji’s main island, Viti Levu. It is the island’s main transport hub and receives tourists year-round. While Viti Levu is the largest island in the archipelago, Fiji actually consists of more than 330 islands. 110 of these islands are permanently inhabited. With its warm, tropical climate and magnificent palm-lined beaches, Fiji definitely feels like paradise. Over weekends, you will have free time to explore with fellow interns and other volunteers. On your first work day, you’ll receive a full briefing about the project. This includes a background of Fiji’s health status, previous health check results, and what current interns are working on. Staff will then train you in conducting health checks. You’ll also will receive information on the most widespread lifestyle-related diseases. After this, you will work every week day from roughly 8am to 5pm, coinciding with the local clinic hours. Your day-to-day work will differ, offering you a chance to gain experience in various settings. These may include primary schools, women’s groups, corporates, and local communities. Information about when and where you’ll work is given to you in the form of weekly schedules. You will start each morning with a meeting that includes all interns and staff. You’ll be briefed on the day’s activities and prepare anything you’ll need for the day. Evenings and weekends are your free time. Use them to explore the island and even sign up for local cultural and language classes. 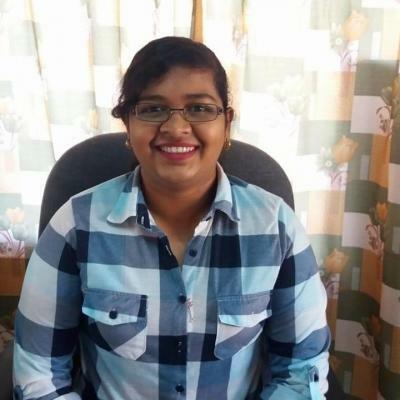 The main aim of this project is to help lower the prevalence of lifestyle-related diseases among Fijians. Obesity and being overweight is on the rise in Fiji because of poor lifestyle choices, like eating unhealthy food and not exercising enough. This has led to the rise in associated and avoidable diseases, like diabetes and cardiovascular diseases. These conditions now account for 80% of deaths in Fiji. Another part of this project is to improve food security on the island. Food security exists when all people have physical and economic access to safe and nutritious food for an active and healthy life. 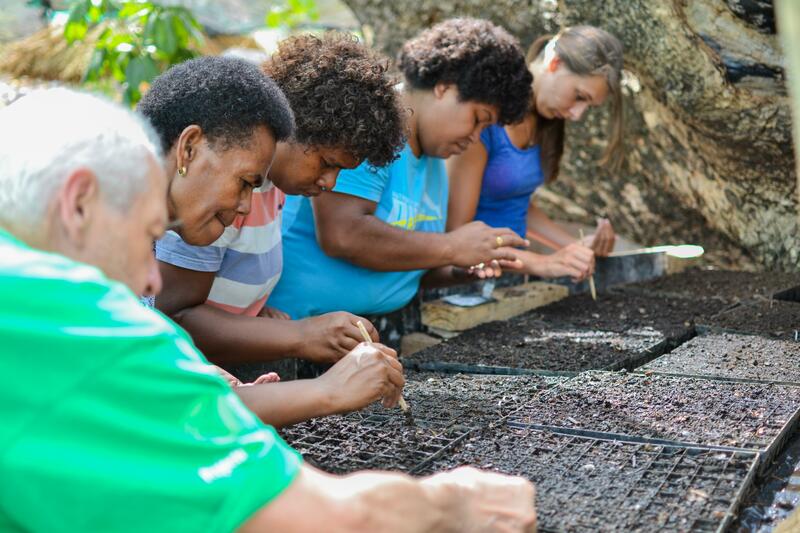 Due to changes in lifestyle and weather patterns, there has been a reduction in the supply of fresh produce in Fiji. Fijians are eating more processed food. This is why we build vegetable gardens. It helps us promote the production and consumption of local produce, so more people can access healthy foods. This has the added benefit of encouraging physical exercise. 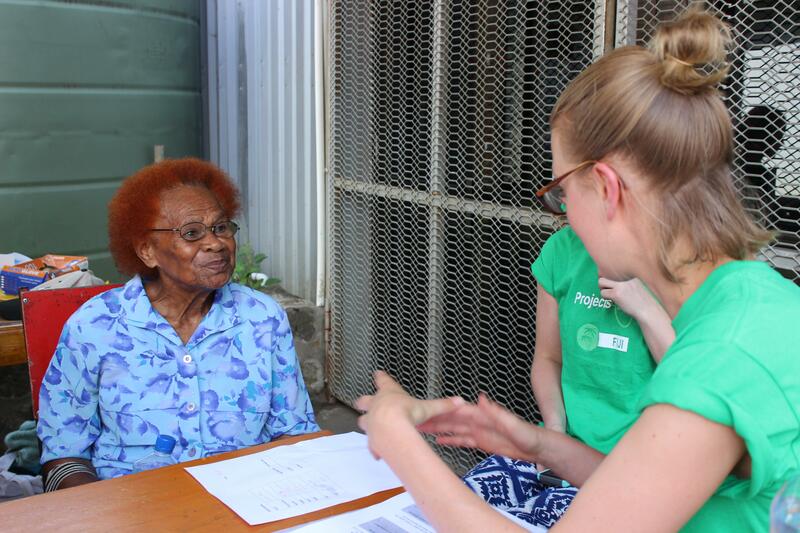 Join us today and gain invaluable nutrition work experience in Fiji while helping people make healthier lifestyle choices.